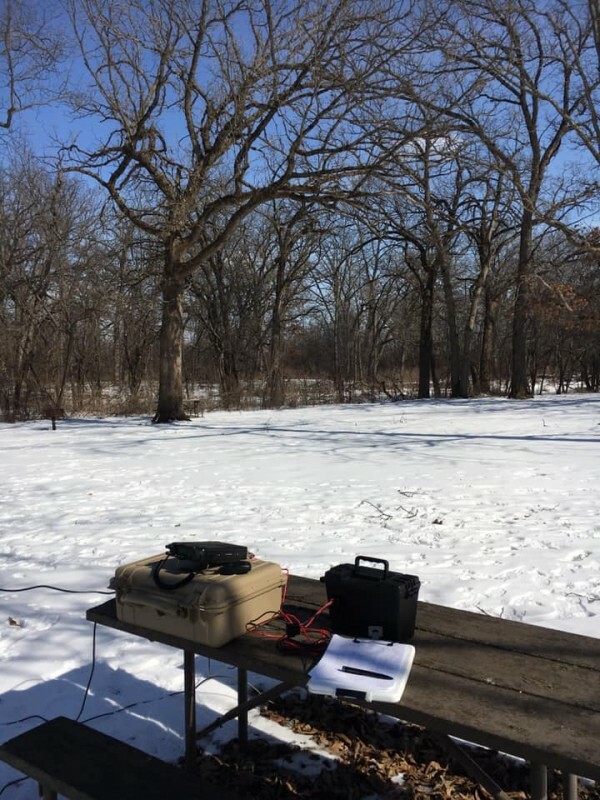 I used my FT-891, with a homebrew ammo can battery box (12v 18Ah), and a 20m LNR Precision endfed. 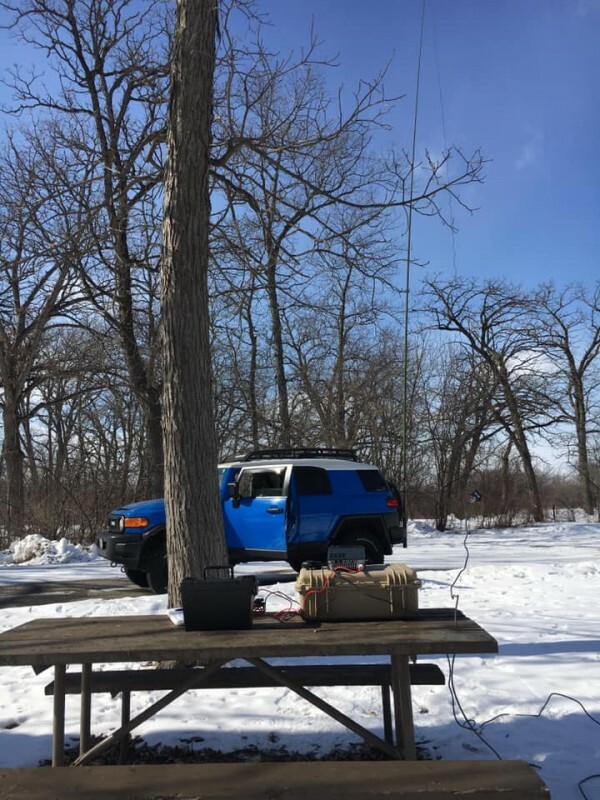 The antenna was supported by a 31’ Jackite pole mounted to a hitch support on the back of my vehicle, and then sloped down towards to the picnic table. No need for a tuner, the antenna is resonant on 20m. I operated for about 2 hours (my typical deployment), and made 44 contacts, all in North America. 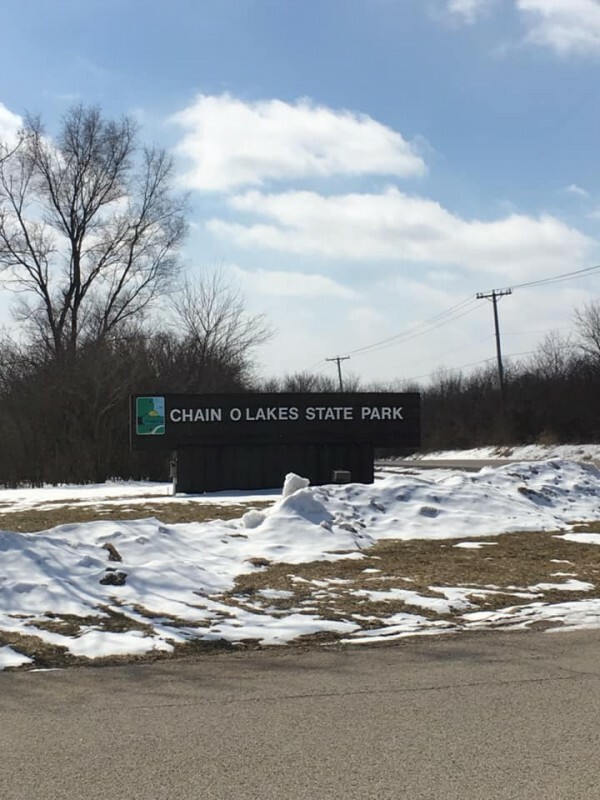 3 of those were Park to Park contacts, making contact with operators also activating other national/state parks. Less to write about for this one. I didn’t get much in the way of photos either. 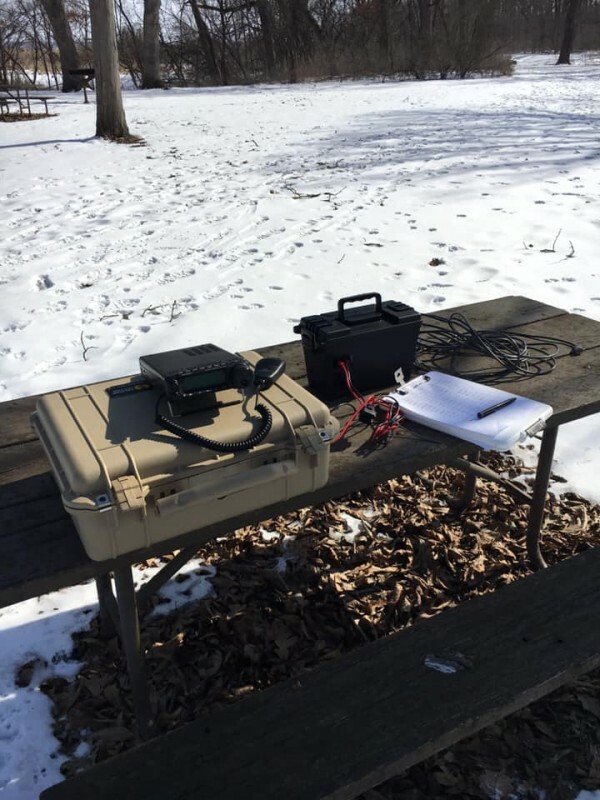 I used the same deployment, just concentrating on 20m. This time I setup and operated from the passenger seat of my vehicle. This park is much smaller with just one parking area, most of which was blocked from all of the snow plow pileups. Unfortunately that was the only kind of pileup I encountered that day! I made 32 contacts, all within North America. Saving the best till last! I wanted to try a different band this time, so I setup as normal with my 20m antenna, but then also deployed my LNR 40m endfed with the help of an additional tripod/20’ mast combination. This allowed me to setup an inverted L, with the feed point near the ground and the coax running towards my operating position. 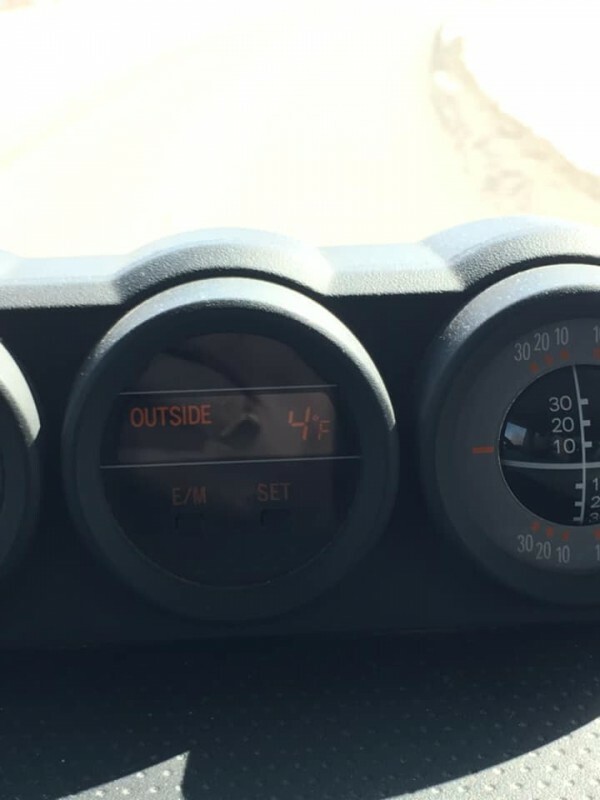 Again, I operated from the passenger seat of my vehicle. The best part of this activation was the contacts I made. On 20m, I had a pileup from Europe as well as North America, with a total of 79 contacts. 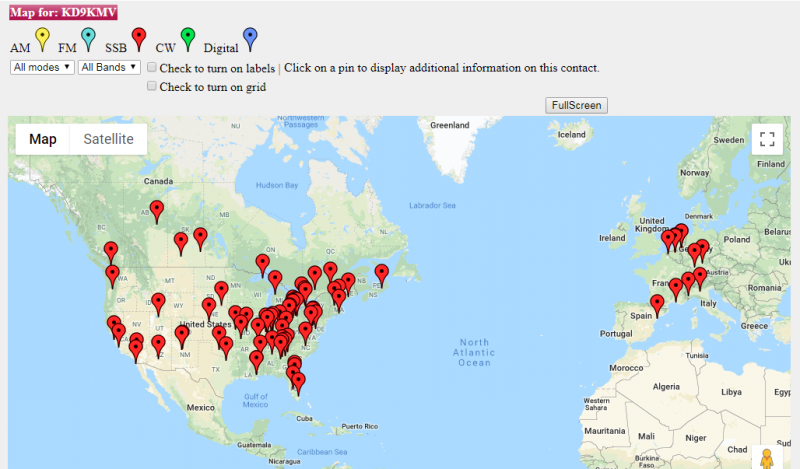 Below is a neat map (courtesy of www.qsomap.org) showing all the contacts that I made that day, and all within a 2 hour period. As you can see from the map, I worked into Germany, France, Spain, Italy and Belgium. One important reason for the pileup was that I was activating a park that people needed, as part of Parks On The Air. With band conditions as they are, having a reason for people to reply to my CQ calls helped immensely. I had never been on the ‘good’ side of a pileup before. It was fun and stressful at the same time.